DOHM, Jad Fair, Reptar, Shirts, and Lathe cut Camp! 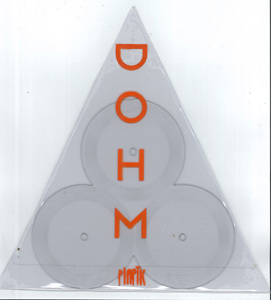 DOHM – "FREE" is the debut release from DOHM (Money Mark (Beastie Boys/Beck/Mike Watt, etc) + Patrick Keeler (Raconteurs/Greenhornes/Afghan Whigs). This SIX SIDED Record is comprised of 3x 4" records joined together. Each one has unique sections of a 36 minute live set recorded in South Central LA. Each side has about 2 minute snippets that end in unique locked grooves. No 2 discs are the same. Includes a download of the entire set. Pick it up here. And while you are at it, pick up the American Monoxide 6 sider (different design). 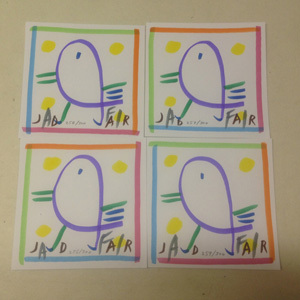 Jad Fair – “Stick” b/w “This Time” Square Lathe Cut with HAND DRAWN (and numbered) covers by Jad. Jad Fair of Half Japanese is legendarily weird. He’s been making envelope-pushing music for almost 4 decades. I made these for his upcoming Euro tour with Normal Blake. He got half and I got half. Keep an eye out for his CD-Record coming soon! Pick it up here. 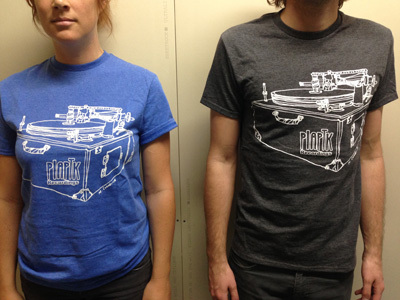 PIAPTK T-Shirts – We’ve got some new t-shirts featuring a technical drawing of our beloved Presto 6N record lathes made by Marina Cornelius of Acorn Bcorn. Available in retro heather blue or retro heather grey. Available in BIG sizes as well. Pick it up here. 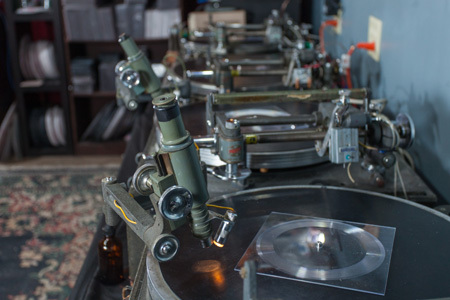 Lathe Cut Camp – I get emails almost daily from people wanting to get into record cutting. So, in response, I’m giving folks the chance to see what it REALLY means to be lathe troll. The first ever Lathe Cut Camp! Spend three days in scenic Tucson, AZ learning (almost) everything you need to know about DIY Record Cutting! The focus of this camp will be on mono "semi-professional" machines, with particular focus on Presto 6Ns, which are one of the most common and affordable vintage machines around. You can do some amazing things with these incredible machines, and I will show you how. 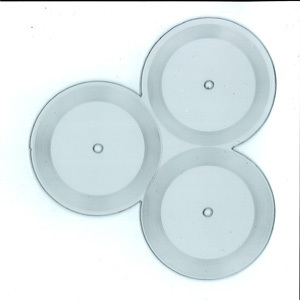 Bring your own music and we will put it onto discs for you to take home. We will touch on professional record mastering/pressing, but my main interest and experience, and the focus of this camp will be on the more DIY and experimental side of the hobby. There are only 8 spots available, so buy early! Check it out here. New Stuff in the Golden Boots Rarities Store - The Golden Boots have been playing a lot of shows and working on new recordings, and are continuing to crank out items for their store to help pay for it all. 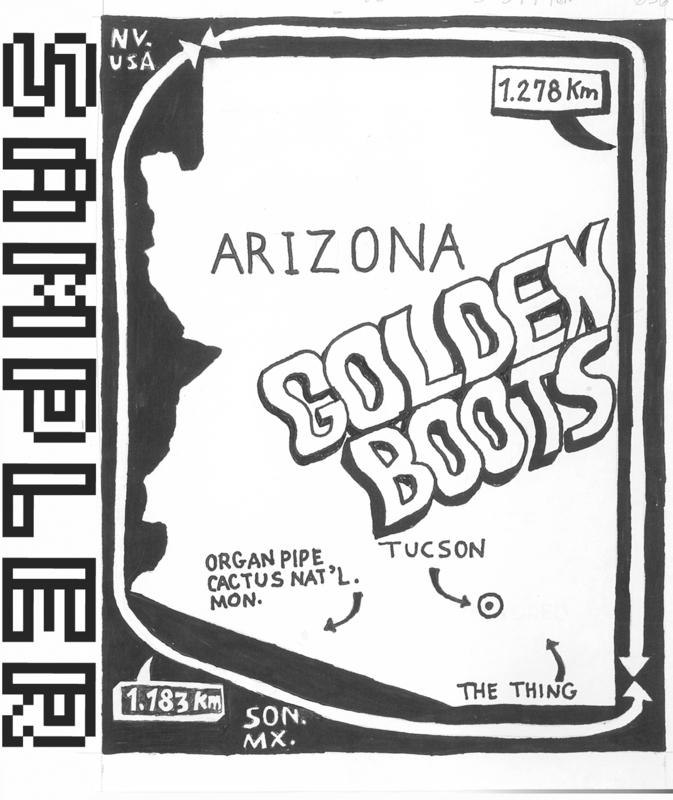 Golden Boots T-Shirts - a great new design celebrating their home state of AZ. Comes with a hand-picked sampler featuring a lot of rare and unheard tunes. Handpainted covers - Ryen has been busy making some more unique and handpainted covers for DBX'n'SPF. Built In Sun – The debut LP from the new super group featuring: Pall Jenkins (Blackheart Procession/Three Mile Pilot/Ugly Casanova), Joe Plummer (Modest Mouse/Shins, etc), and Richard Swift. Grandaddy – Arm of Roger “The Ham and It’s Lily” The legendary practical joke record from Grandaddy is seeing it’s first “official” release, and it’s only time on vinyl through Soild Gold. And true to Soild form, there will only be 300 copies! This will be gone FAST. Briana Marela Multi-Hole Art Record. 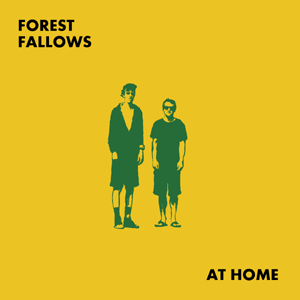 Forest Fallows “At Home” cassette and Lathe Cut Album CD-Record. Thanks for wading through this tidal wave of information. As always, your support is greatly appreciated. Even if you can’t buy anything right now, spreading the word always helps! Golden Boots - 2015 Sampler FREE FOR A WEEK! Available for an EXTREMELY limited time. The third incarnation of the Golden Boots Sampler, available in conjunction with The Side Streets Podcast , whose most recent episode features Golden Boots' Dimitri Manos. For this one, we dug deep for super rarities and unreleased gems. Pick it up HERE. 9 - Good Bye Blue Monday (Blunderlust Chpt. Hello everyone and greetings from Memphis, TN! My travel lathe-cutting business, MobileVinylRecorders.com just left New Orleans, where we were cutting records for the Isley Brothers at Mardi Gras, and we've got a few days to kill until our next gigs in Charlotte, NC, so we are stopping through and visiting some friends in the South and checking out the sites like Sun Studios, Ardent, etc. Next stop Nashville, then Charlotte.. If you live in one of these locales, and want to hang, hit us up! Lots of stuff coming up in the next few months, but here is a small taste that is available NOW! 2. 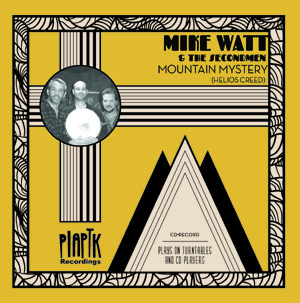 Mike Watt: Mountain Mystery CD-Record: Mike Watt is my oldest "Rockstar Encounter" experience from when I was 15. He is one of the most genuine dudes, and incredible artists that independent and punk rock has ever produced, and I am ridiculously excited to be able to work with him (and we have another project in the works!). But first up is the next release in the CD-Record series. This one is with Mike Watt and the Secondmen covering "Mountain Mystery" by Helios Creed. We also have some other incredible artists coming up soon, so stay tuned. Pick up Mike Watt's CD-Record HERE. 3. 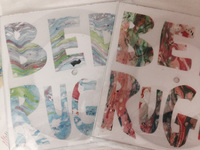 Bed Rugs - Two Lapse 8" Pic Disc - Bed Rugs are only the second band I've ever released from a demo. I love getting demos, but I'm always WAY too backed up with my friends' records to work with bands I don't know. They emailed me and asked if I'd be interested and I (in a much nicer way) said "probably not, but send it over and I'll check it out"... I did check it out and said "YEAH, I'll release THAT!" So, here it is! One long psych jam called Two Lapses on a one-sided 8". 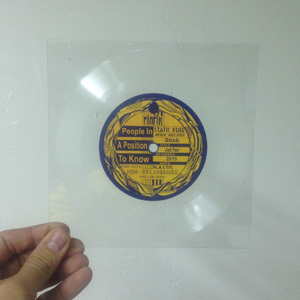 We hand-cut the protective plastic away in the shape of the band name from the back of the record and peeled it away. Then my four-year-old daughter and I hand dipped them in paint and we cut the grooves onto the front side. Ltd to 75 copies. Pick one up HERE. Also, Bed Rugs is throwing a secret PIAPTK party on March 26 in Antwerp, Belgium and they've got a bunch of these records and some exclusive PIAPTK swag bags... so, you know, for the two of you on this list in Belgium, you should go and pick one up! Hit me up if you want the coordinates. 4. 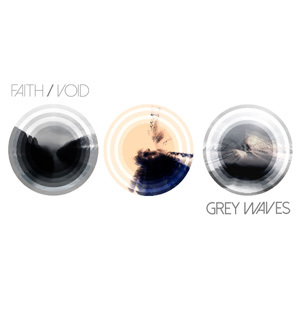 Grey Waves Handmade Artwork 7"s - Grey Waves is Jesse Hughey and Eric Judy (Modest Mouse). This is their debut release and is limited to 300 copies. A little over 100 of these have unique artwork made by over 30 different artists. For the most part, these designs are limited to one or two copies. Some are collaged, oil painted, water colors, silkscreened, etc. Many of these were displayed at art galleries in Seattle, Portland, and Olympia, but we have about 40 of the handmade ones to sell through PIAPTK. They are limited to about one copy per design, and you can choose which design you want, so don't sleep on this... they are all REALLY great. There is also a less expensive, standard full color printed cover which is also limited, only 200 copies. Pick them upHERE. 5. Salesman - Let's Jump Into The Fire 7" Lathe cut - Our buddies from Austin are back with a new single, this time, it's PIAPTK's first single on Square, WHITE, lathe cut. Double sided, with two new excellent jams and water colored labels. While you are at it, don't forget to pick up a copy of Salesman front man, Devin James Fry's debut solo album on cassette! DJF Tapes HERE and Salesman 7"s HERE. 6. 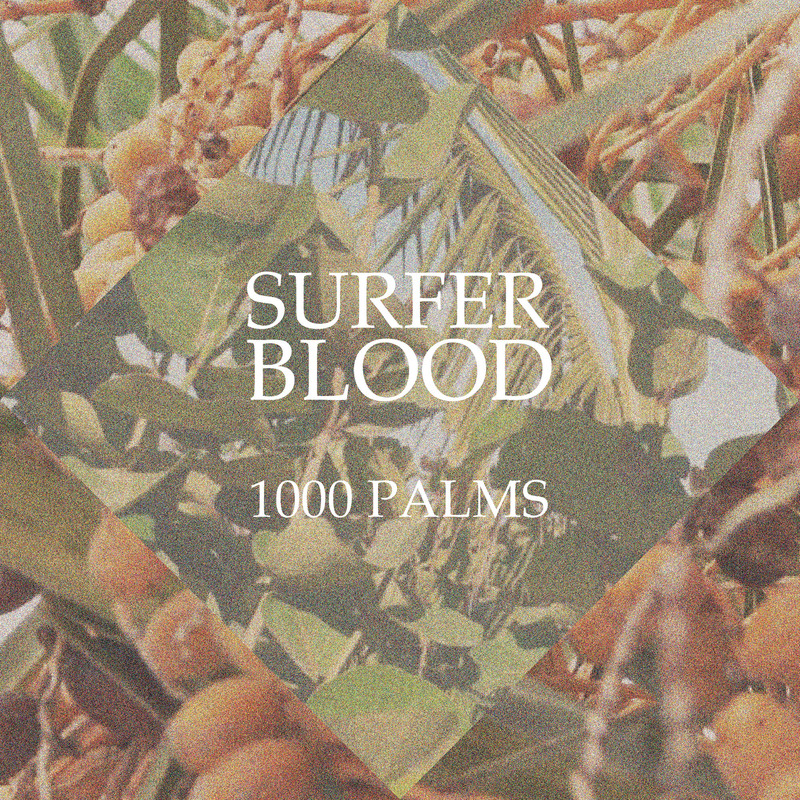 Surfer Blood - 1000 Palms Tape - In conjunction with our partner label, Joyful Noise Recordings, we are thrilled to release the cassette version of the new Surfer Blood album, 1000 Palms. THIS IS A PREORDER ONLY AND WILL NOT BE AVAILABLE UNTIL MAY! PLEASE ORDER THIS SEPERATELY FROM ANY OTHER ITEMS IN THE STORE OR YOU WILL NOT RECEIVE ANYTHING UNTIL THE MAY RELEASE DATE! 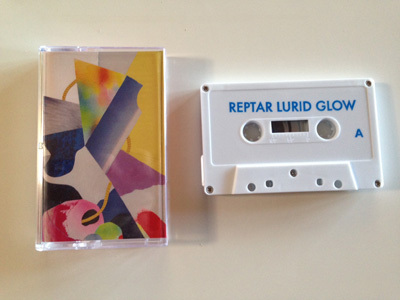 That being said, preorder a copy (only 250 on blue tapes) HERE. Soild Gold 00004 - Scott McMicken "IT" LP! We are ridiculously proud to present Soild Gold - 000004: Scott McMicken's "IT". 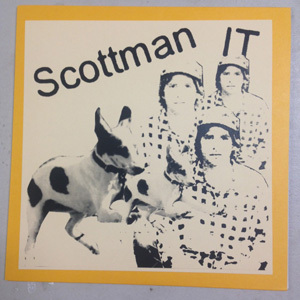 "IT" is the first solo album from Dr Dog songwriter/singer, Scott McMicken! This album was recorded a while ago and was originally intended to be released as a cohesive unit, but was eventually partially pieced out for Dr. Dog bonus tracks on various albums and singles. But, this marks the first time that it appears in it's entirety, as originally intended, and on vinyl. LPs on Goldenrod Vinyl and Cassettes on Gold tapes. 35 Gold with Red and yellow rim Splatter vinyl will be sent to random purchasers. Includes a poster with art by V. Cessna. Soild Gold 3 Pack - New to Soild Gold? Can't believe you missed the first two releases? Well, they are both almost sold out, but we have twenty 3-packs available at a discount! And while you are at it, don't forget to pick up the Scott McMicken CD-Record (that plays on your turntable and in your CD player). 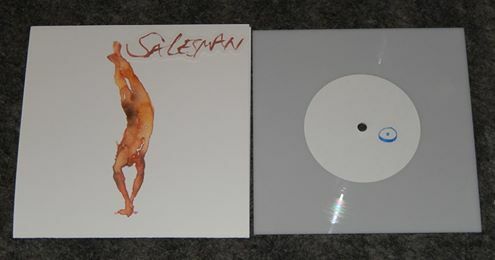 Salesman - Lathe Cut 7"
DOHM (Money Mark + Patrick Keeler (Raconteurs/Greenhornes)) Conjoined Triplet 6-Sided Records. American Monoxide/Wight Lhite Cassette/Lathe Cut Sandwich. The Golden Boots Announce Vinyl Rarities Store: Golden Boots are one of the bands that PIAPTK has worked with the most with over the years. We’ve done over 20 releases that they were a part of. They are also probably the worst band on the planet about bringing merch to their shows. So, when I moved to Tucson a while back and walked into Ryen’s house, I saw a shelf with almost every artist copy of every release I’ve ever given them sitting on it. Things that people have been begging me for over the years, but were long ago sold out.